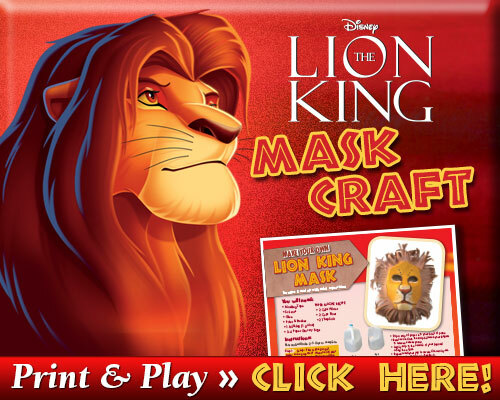 Do you love Disney’s The Lion King?! The animated classic is one of my all-time favorites and is now the fifth title to join the Walt Disney Signature Collection, which includes groundbreaking films created or inspired by the imagination and legacy of Walt Disney. 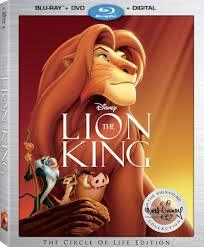 Featuring timeless stories and characters that have touched generations, The Lion King Walt Disney Signature Collection Blu-ray (affiliate link) is available for purchase now! We were thrilled to get a review copy to have on Blu-ray at home! 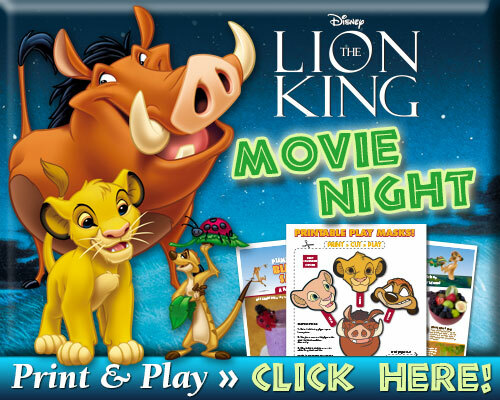 To add to the movie watching fun, we have some free printable coloring pages to enjoy! 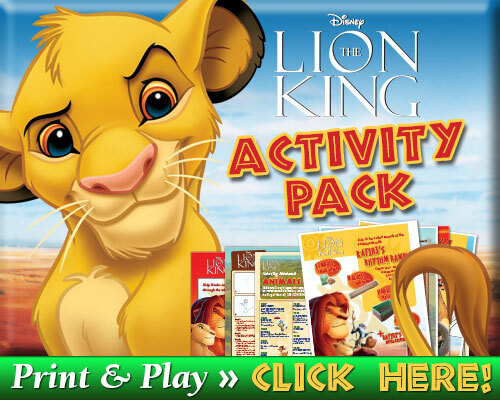 Disney has put together some fun printable coloring pages, activity sheets, recipes, and craft ideas. Just click through the different activity buttons below to print whatever you’d like! You’re sure to find something fun! Love it! 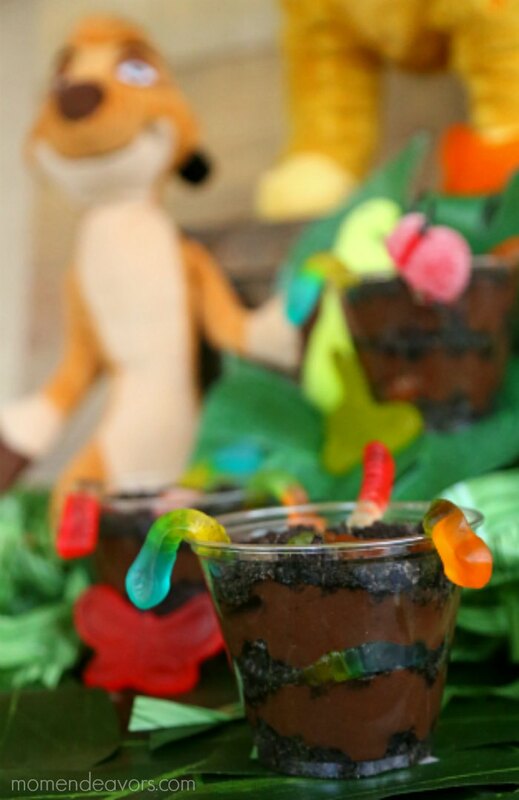 For some extra special movie night fun, you could also try making some cute Lion Cookie Pops or some easy Grub Snacks to slurp up! Mmmmm! 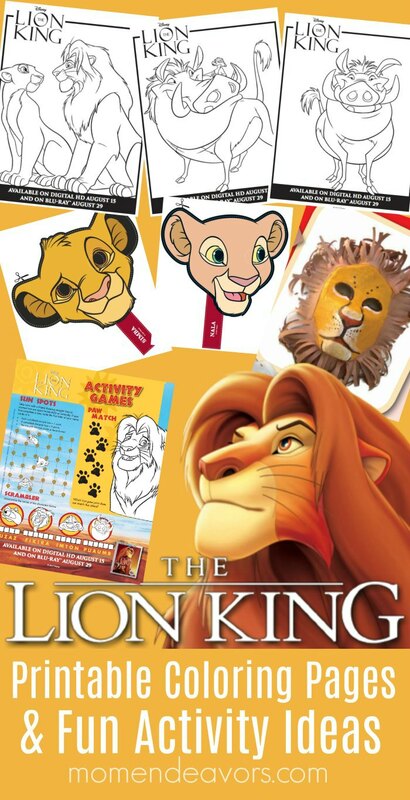 So, be sure to buy your The Lion King Signature Collection on Blu-Ray/DVD (affiliate link) and print whichever printables you like! We LOVE having the movie at home! And not only is the movie itself fabulous, but we also think the bonus features you get on the Blu-ray are so much fun! Nathan and Matthew: The Extended Lion King Conversation – Nathan Lane (Timon) and Matthew Broderick (Adult Simba) offer candid and hilarious insights into their Lion Kingexperiences. Hakuna Matata – Co-directors Roger Allers and Rob Minkoff sing, act and dance their hearts out as they pitch the “Hakuna Matata” sequence. We especially love all the song selections and the sing-a-long version! It’s like having an extra special soundtrack right on your tv!!! So fun!! !